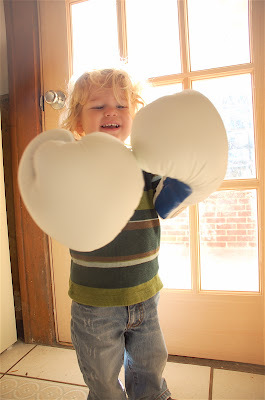 so i just started kickboxing classes and owen is having a blast playing with my gloves. i take two classes a week and i love it. the workout is great and i'm learning a lot. but i'm pretty fussy about my gloves... i chose white ones cause they were pretty, but now i'm afraid they'll get dirty.